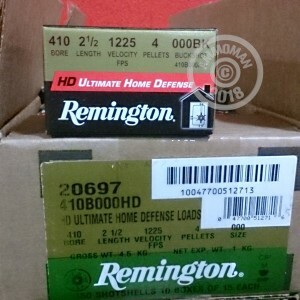 Remington Ultimate Home Defense Rounds are great for personal protection. These 2-1/2" 410 Gauge rounds are packed with 4 pellets of 000 Buckshot. Grab a few boxes today for your Taurus Judge or similar 410 Bore revolver.